The wizard guides you through the initial configuration of your device and will create an initial configuration file. The setup mode is useful when you are unfamiliar with the IOS CLI, but once you learn the basics of CLI, you probably won’t use this mode ever again. 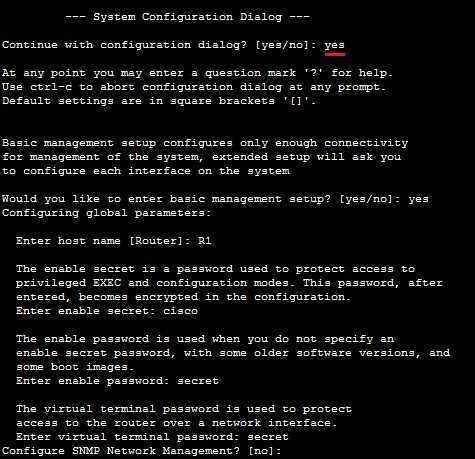 You can enter the setup mode at any time from the command line by typing the setup command from the privileged mode. To exit the setup mode without saving any changes, press CRTL+C.